Audi’s master plan implemented in a new industrial site in Traunstein, Upper Bavaria. 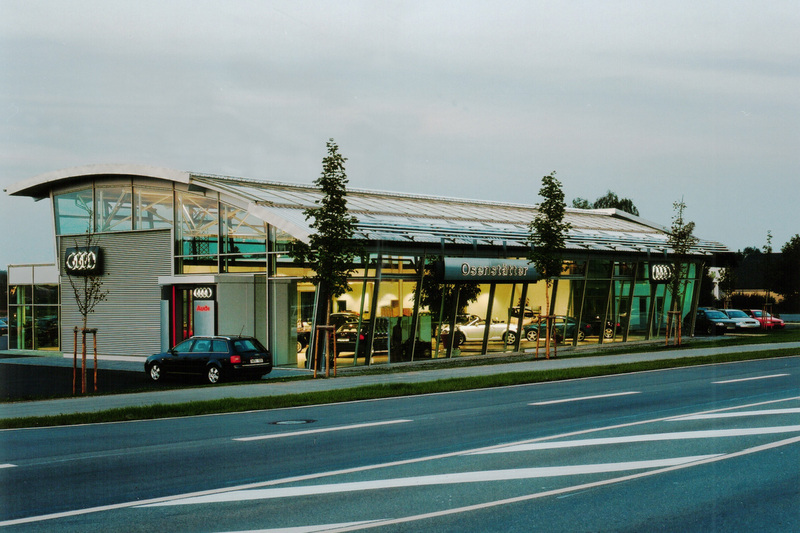 It proved possible to persuade the town’s elders that here too Audi’s master plan with its silver grey sheet steel roof could be realised in contrast to the specifications contained in the construction plan (red/brown roofing). Designing the exterior space with light sails was a further enhancement, meeting the CI specifications for an external highlight. A flat for the manager was accommodated above the social area. Please fill in the form below, so that we can contact you as soon as possible.